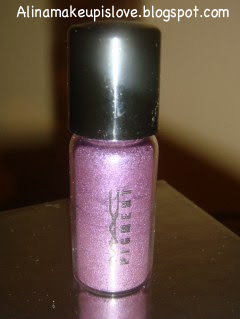 MAC Holiday Collection-Mischief Makers: 5 Cool Capers Mini Pigment/Glitter and Swatches! MAC really did it up with their new holiday collection. 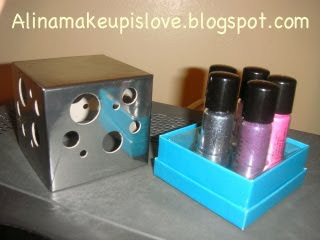 I love all that was out, but I ended up getting one item which was the cool capers that contained 5 mini sizes of pigments. There were 2 other pigment/glitter sets, but I think the colors from the other 2 were a bit similar and consisted of mostly golds and bronzes. I decided on this pigment and glitter set because the colors looked very diverse and would be so much fun to try out and create looks with them. I will definitely create looks with these pigments so look out for that! 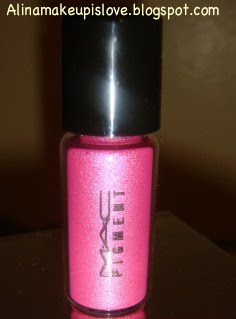 I know this may be a shock to some of you but...this was my very first time trying out MAC pigments! I have never tried them because they are a little expensive-$20.00 a pop! But you do get a lot of product for what you pay for and I am definitely going to be on the look out for pigments and glitters in the future. I thought this set was a great way to try them for a reasonable price ($32.50 each set) and each set comes with 5 pigments/glitters. Not bad eh? These would totally make wonderful christmas gifts for your loved ones out there who love MAC and love makeup! I love it! 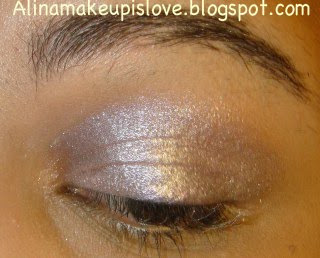 Here are swatches that I did on my eye of each pigment/glitter color. 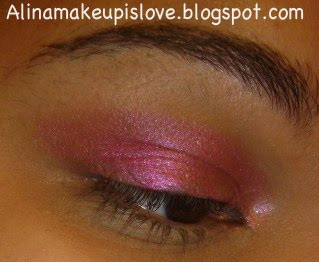 For each swatch, I primed my eyes with Urban Decay Primer Potion and I applied these eye colors wet using MAC's Fix +. I loved how easy it was to apply each of these shadows and they looked really good on their own. 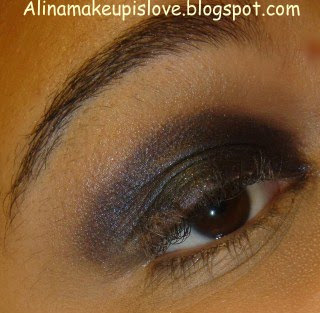 You can even layer pigments over other eyeshadow colors to really make them pop! I really love all the colors. The one that I find most interesting is the Glitter in Reflects Transparent Teal. 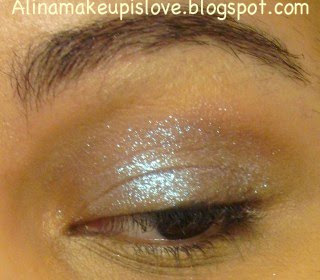 I think this one is best when it is layered over another eyeshadow to give it a pop of glitter! 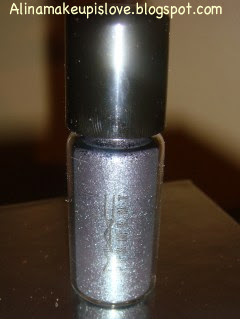 I also like the fact that this glitter has sort of a reflect of teal when you turn at certain angles. Very pretty! I also had a bit of a problem applying Kitschmas pigment. I had major fallout! But it's nothing I can't handle :) I love it anyways, very pretty! 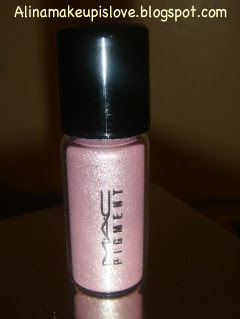 Overall, I really enjoyed this set and I might just look out for more MAC holiday items. Have any of you tried this set? 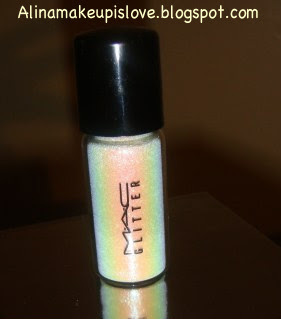 Have any of you tried these pigments/glitter? Let me know in the comments section loves! Disclosure: I purchased this set from a MAC store. OMG the Grape pigment is BEAUTIFUL!!!!!! i love my grape pigment! how are you feeling about kitchmas?? I wasnt really im[ressed with it on myself. @Jess-I am not too crazy about Kitchmas...it's just a basic lilac-ish sorta color...nuttin special. But It's ok, I will find something special to do with it. lol.